Evald Ilyenkov was an important Soviet philosopher who came into conflict with the Stalinist authorities. He developed the ideas of the 17th century philosopher Benedict Spinoza as a way of opposing and exposing the conversion of Marxism into dogma. A World to Win recently participated in an international conference in Helsinki, presenting a paper on the contemporary significance of both Ilyenkov and Spinoza. Evald Ilyenkov took Spinoza’s philosophy as the starting point for his own critique of positivism and mechanical materialism. While this assumed a strictly philosophical form, its political source was Ilyenkov’s profound conviction that a turn towards materialist dialectics was critical for the future of the Soviet Union. Ilyenkov championed those sides of the 17th century philosopher’s ideas which made a decisive impact in the late 18th century on Hölderlin and Hegel, and later on Feuerbach, Marx and Engels. He drew on Lenin to establish materialist dialectics once again as the theory of knowledge of Marxism. Like Lenin, Ilyenkov found himself swimming against the tide but was not deflected from his goals. A renewed interest in Spinoza is blossoming internationally. 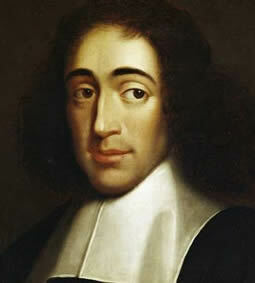 Historical research is shedding light on Spinoza’s circles and the connection between the political-religious conflicts in the Dutch Republic and his role as “the philosopher of modernity”. The significance of Spinoza for political practice in the present conjuncture has become a rich and contentious arena in philosophy. A number of thinkers, in particular, theorisers of contemporary globalisation such as Antonio Negri and Michael Hardt, have based their ideas on aspects of Spinoza’s Ethics, his Theological Political Treatise and the Political Treatise. Negri’s espousal of Spinoza has its critics. We will argue that Negri bases his theorising on Spinoza’s mystical and static aspects as part of his rejection of the dialectical and objective implications of Spinoza’s monism, which are precisely those sides which Ilyenkov championed and developed. While the post-structuralist critique of “Modernity” recognises and diagnoses the transformations of subjectivity, it idealises the possibility of contradiction-free transition. This results in an impoverished reading of Spinoza which tends to make resistance into a fixture within an eternal framework. Like the poor, resistance will always be with us. The abjuring of the concepts of dialectical negation, transformation and the possibility of qualitative leaps leads to an eternalising, timeless “antagonism” thereby re-introducing the metaphysical duality which Spinoza resolved through his concept of substance. Spinozan-Ilyenkovian dialectics offers a path beyond the impasse of 21st century philosophy. Understanding the dialectics of contemporary globalisation and its crisis creates the ground for transforming the ideal into the real. Ilyenkov not only negated Spinoza’s materialist outlook but also probed and developed its dialectical essence. In doing so, he created a transition from the work of Marx, Engels and Lenin who all acknowledged Spinoza’s historic contribution. Ilyenkov took up the challenge “bequeathed to us by Lenin, of creating a Logic (with a capital ‘L’), i.e. of a systematically developed exposition of dialectics understood as the logic and theory of knowledge of modern materialism”. His concern that this “has become particularly acute today”  is significant as we shall show in the following section. In the above-mentioned books, Ilyenkov began to put philosophical flesh and bones on those ideas which Lenin had signalled in outline form in his Conspectus of Hegel’s Logic, while in exile from Tsarist Russia. In these notes, Lenin focused particularly on the dialectic itself, following Marx in turning Hegel’s concepts on their materialist heads. In his discussion of the “objective truth of universal concepts” in The Dialectics of the Abstract and the Concrete in Marx’s Capital , written some years before Dialectical Logic, Ilyenkov points to Spinoza’s strengths and weaknesses. But, like Engels, he sees them as shortcomings of the “entire old materialism”. Ilyenkov takes forward the dialectical notion of “whole and parts” in emphasising the importance of “thinking concretely, expressing through abstractions the concrete and specific nature of things rather than mere similarity, merely something that different things have in common”. Later, (point 38), Ilyenkov goes on to stress the category of substance as “the fundamental basis of the dialectic, as the logic and theory of cognition”. Khrushchev’s secret speech denouncing Stalin at the 20th Party Congress in 1956, and the resurgence of anti-colonial and class struggles east and west, found a reflection in the rejection of Stalinist dogma in philosophy. The rise of positivism as an important philosophical trend, like the dogmatisation of dialectics, was not a purely Soviet phenomenon. Like Stalinism itself, it was the particular way that bourgeois ideologies were reflected under the conditions of a bureaucratised workers’ state that was, during the 1960s, increasingly falling behind the West. In philosophy there was also a “gap”, as materialist dialectics developed by Lenin had been transformed into a reactionary dogma, “Diamat”. The mere word dialectics became associated with the crimes of Stalinism which after the 20th Congress became open knowledge. It was therefore viewed as an unviable philosophy or methodology for the purpose of social liberation. The subsequent search for a “humanist” Marxism took a number of forms. Continental Europe saw the rise in popularity of philosophers like Jean Paul Sartre, Albert Camus, Simon de Beauvoir, Maurice Merleau-Ponty, and Louis Althusser. Other tendencies and movements followed, which went further in their critique of what became known as “Modernism”. In his paper submitted to the Marx and the Western World symposium held by the University of Notre Dame, Indiana, USA in 1966, which he was unable to attend, Ilyenkov took note of efforts to “humanise” Marxism. Ilyenkov’s article makes thinly-veiled attacks on the official orthodoxy that socialism had been achieved in the Soviet Union . He refused to identify socialism with state ownership, as Vesa Oittinen has pointed out. The “social property” established by revolution was only an initial step, he insisted. There was still “the gigantic task of creating a society without government, without currency and without any other external mediators for relationships among people,” Ilyenkov wrote. Thus, at a critical point in the problem of developing the Soviet Union , encouraged by the possibilities opened up by the Khrushchev thaw, Ilyenkov sought to renew Soviet philosophy. Nonetheless, the ideological and historical burden of mechanical, determinist Diamat proved significant and carried historical consequences in and outside of the Soviet Union . The dogmatisation of philosophy reinforced the determinist point of view that socialism was the inevitable outcome of class struggle or that “already existing socialism” had been achieved in the Soviet Union and elsewhere. The evident unreality of this approach demonstrated by the break up of the Soviet Union prevented a wider understanding of Ilyenkov and others’ creative, monist form of the dialectic. The “anti-gnoseologists” who opposed Ilyenkov found their counterparts in Western Marxist circles. They attacked those who sought to develop dialectics. Theory was seen as simply emanating from “praxis” or activity per se, based on an unchanging and rigid propagandist notion of “programme”. This of course was aided and abetted by the separation of historical from dialectical materialism. The theory of “praxis” , so prevalent in Marxist and left circles, became a substitute for the study of the contradictory development of capitalism globally. The dogma of Diamat went side by side with Stalinist parties becoming subservient to establishment politics, joining in alliances and coalitions with capitalist parties. The absence of a developed Marxism created an increasingly wide space for post-structuralist theories to become widespread and morph into post-modernist ideologies. Whilst the term post-modernism is notoriously vague and multifarious – a “condition” rather than a philosophy – the rejection of what is seen as Hegelian “historicism” or teleological determinism ended with the conflation of materialist dialectics with Stalinist dogma. The last decades of globalisation have been characterised by an “over-production” of the subjective side of life. The material and contradictory source of images were buried under countless layers of ideological mediation and market manipulation. Hence the success of the post-structuralist viewpoint which seeks to mediate and deconstruct the complexity of the contemporary world. The mushrooming financial sector and the over-production of capital in the form of innumerable products and instruments structuring various kinds of debt and credit overshadowed the increasingly small economic base in commodity production. The prevailing view became that industrial capitalism in Europe and the United States was replaced by the knowledge economy, which seemed to make the labour theory of value (and the tendency of the rate of profit to decline) outdated. Since the 1990s, the post-structuralist view, which privileges the subjective side and/or views social being and social consciousness as a non-contradictory whole, has chimed in powerfully with the 24/7, social-media transmitted, image-dominated experience of the world of corporate capital. Episodic flashes of resistance and opposition – such as the “Battle of Seattle” in 1999 – may explain the unexpected success of Hardt and Negri’s book, Empire, when it first appeared in 2000. The multitude – a Spinozan concept adopted and adapted by Negri and Hardt – as the real-life expression of the new whole-part relationship established by globalisation suddenly emerged in real social and political movements. Several theorists have pointed to the limitations of post-structuralism and have taken issue with Negri’s approach to Spinoza. Many of these critiques make important observations – and in some cases seek to develop a Spinozan political ontology for today. But on the whole they avoid – or do not probe deeply enough – the fundamental philosophical assumptions and premises involved in the Hardt-Negri project. It could be called – to paraphrase Marx – the hidden abode of dialectical contradiction. Significantly, they are not aware of or have not taken account of the contribution made by Ilyenkov and other pre-Soviet and Soviet thinkers in developing the dialectical and contradictory potential within Spinoza to a transformative and political level. This defect weakens their ability to counter Negri and thus emphasises the need for a further development of materialist dialectics. Through his work on Marx’s Capital and dialectical logic, Ilyenkov sought to open up Spinoza’s intrinsically dialectical proposal that all determination is negation, a difference between Being and (abstract) thought. For Ilyenkov, Spinoza foreshadowed a possible dialectic of nature as well as human thought. This potential was inseparable from the analysis of the different, contradictory sides of human existence, experience and behaviour, the concept of truth and error, the acquiring of true knowledge and how an ethical life is to be achieved. The view that Hegel’s objective dialectic was nothing other than the ideology of the ascendant bourgeoisie. Negri hotly contests Spinoza’s proposal that all determination is negation which distinguishes between Being and (abstract) Thought. The absence of an outside, an external world – a dialectic of nature. There is only Empire with the multitude within it. The entire concept of dialectical contradiction is rejected. It is replaced by smoothed out “antagonisms” and the comforting notion of “immanence”. There is only Being. Becoming is entirely negative and destructive. The idea that there is a difference (as well as unity) between appearance and essence is rejected. Alongside Negri’s rejection of contradiction as a real and logical concept is the impossibility of dialectical negation. Empire is a seamless whole. As opposed to Marx’s concept that capitalism’s internal contradictions give rise to systemic crises, which potentially can generate revolutionary transformation, we have the self-evolution of multitude into a benign form of Empire. Jason Read, an astute and enthusiastic advocate of post-structuralist radicalism, points to the term “biopolitical production” which underlies Negri and Hardt’s “Spinozan” concept of Being. He says the primary point of reference for their ontological speculation is Spinoza’s Ethics. And, the concept of a unified world in which the biological is connected to the political is of course Spinozan, albeit viewed through Foucaultian spectacles. Read notes that Hardt and Negri reject the opposition between appearance and essence. “Biopolitical production forces us to confront the multitude lurking behind every sovereign...” In other words, the spontaneous movement of the multitude will by itself expose the way in which the world can be made otherwise. There is thus no need for a conscious body or collective which can develop strategies or theorise collective action. Resistance is all. In the end, it is a passive spectator’s view of the labours of the multitude which must simply get on with it. In The Savage Anomaly  Negri claimed that “the dialectic has no place in Spinoza”. In his more recent Subversive Spinoza  he appears to have a rabid fear of the notion of “becoming” (which “devours” Being) and claims that this is “the contemporaneity of Spinoza”. Negri elevates Being into an absolute with cryptic statements like: “Becoming seeks to annihilate the revolution”. Being is thus rendered as a metaphysical entity, a fortress to be defended at all costs. Thus, the multitude has the unenviable task of not bringing anything into being, as that might involve the dreaded “becoming”. The depiction of a Being that is in constant movement and re-construction seems attractive as an account of a rapidly changing reality which is the source of thought/social consciousness. But herein also lies the limitation of the Hardt-Negri view and their departure from Spinoza. Negri’s animosity towards dialectical contradiction and with it – transition, mediation, negation and transformation – underlies his entire approach. It is not only, as Sean Grattan,  writing in the Marxist journal, Mediations, says, that Negri misreads or misrepresents Spinoza in a “crucial divergence from considering a materialist Spinoza in favour of an idealist Spinoza”. But while pointing to the many inconsistencies and distortions of Spinoza’s thought to be found in the “indignant multitude”, like his fellow Marxist Greg Dawes , Grattan does not foreground the philosophical and political consequences of Negri and Hardt’s opposition to dialectics, in particular the concept of becoming, or draw conclusions from it. In an ironic blast at Empire, John O’Neill  takes exception to the same Foucaultian notion of biopower, which he believes is “abstracted from any revolutionary project”. O’Neill believes that Negri and Hardt’s version of post-modernism “fails to see that its critical concepts of anti-foundationalism anti-essentialism and (in)difference, are as the ghost of Marx might have told them, capital practices of a bourgeoisie devoted to shocking rather than being shocked”. O’Neill is correct when he says that the new vision on offer is “a politics without dialectics and without totalisation of the class subject”. But in the same breath he claims it embraces a “Spinozan Marxism”. Well, only Spinozan in the sense that it postulates a “whole” but it is a Spinoza eternally frozen in a permanent moment of Being. Hardt and Negri are seekers after a kind of post-Marxism but, hiding behind a Spinozan cloak, they have removed the dialectical spring which is its heart and soul. And, along with the dialectic, in the economic sphere, the internal contradictions in the production of value and profit, which are the foundation of of Marx’s Capital, are tossed into the dustbin of “bourgeois ideology”. Waiting for the multitude to overwhelm Empire thus condemns us to a state of waiting in a 21st century form of Purgatory. And in essence, this runs directly against the Spinozan intellectual project. Here is where Ilyenkov’s dialectical logic, which pursues the implications of Spinoza’s concept of substance in a different way, offers a deeper and transformative reading. His concept of the Ideal provides a richer, more dynamic understanding of the mind/body relationship. John Holloway is a leading theoretician of anti-globalisation and an active supporter of the Zapatistas and other autonomous movements. His two books Change the world without taking power (2002) and Crack Capitalism (2010) are widely read and discussed, particularly amongst students and activists in the global protest movement. His perspective of eternal oppositions living in the “cracks in capitalism” is an example of post-structuralism translated into activism. While he too is a critic of Negri/Hardt’s work, Holloway’s own approach suffers from defects not dissimilar to the ones he criticises. Holloway’s non-historical, one-sided view of contemporary capitalism owes little to Marx and everything to bourgeois sociology. Yet Holloway’s own disavowal of materialist dialectics as a theory of knowledge leads him to theorise a model of change that puts the revolutionary subject firmly outside of and apart from the “ensemble of the social relations” of the capitalist system. This is a result of Holloway’s explicit rejection of the concept of Marxism as a scientific method. He praises Hegel's dialectic but rejects the dialectics of nature, accusing Engels of “positivising Marxism” by claiming a connection with scientific thought. The Marxism-as-science approach, says Holloway, contains a “theoretical subordination of subjectivity” and “leads to the political subordination of the subject to the objective course of history and to those who claim to have a privileged understanding of that course”. It makes the working class an adjunct to a law-governed, necessary, end of capitalism. "Future society will not be law-governed,” he says. From here it is logical that Holloway should reject the Marxist view of the state as an instrument of the ruling class which, instead, should be seen “as one moment in the general fetishisation of social relations”. The aim of taking power through a conquest of the state is, for Holloway, the path to reinforcing the status quo of class relations expressed in the exploitation of labour. Such a project can only lead to a replication of the power of hierarchy in a new totalising system. So his attention, which is in fact shared in another fashion by Hardt/Negri, is directed away from the dialectic of the object-subject relationship towards a one-sided reinforcing of the subject. Instead of attempting to take state power, the oppressed should carry out a consistent refusal to do so. The emotional opening passage of Change the world without taking power states "the beginning is not the word but the scream". He adds: "Faced with the mutilation of human lives by capitalism a scream of sadness, a scream of horror, a scream of anger, a scream of refusal: NO." The starting point of theoretical reflection is "opposition, negativity, struggle. It is from rage that thought is born, not from the pose of reason … we start from negation, from dissonance." And further: "Dimly we feel that these things that anger us are not isolated phenomena - that there is a connection between them. The connection is that they come from a world that is wrong. This is our starting point: rejection of a world that we feel to be wrong, negation of a world we feel to be negative. This is what we must cling to." In Crack Capitalism written after the financial crash of 2008, Holloway makes Marx's analysis of the dual character of labour the core of his proposition: "There is a permanent antagonism between abstract labour and doing, that is, between the abstraction of doing in labour and the push of doing towards self-determination. This is what Marx refers to as the dual character of labour. There is a relation of constant tension between the two types of activity but this is concealed by the dominance of abstract labour.” He adds: “To attack abstract labour is to attack this stable world, to hack at the pillars that hold the roof above our heads. To attack abstract labour is to release the (contained and not contained) world of we do." For Marx, however, the dual character of labour was a concrete abstraction and an inseparable unity of opposites within the actual relations of capitalism. This contradiction contains within it the potential for further negations and a transformation of opposites. Holloway separates out the category of labour from the conditions of its existence, splits it into its useful (power-to) and abstract (power over) forms, hurls the abstract part back at the capitalist, without specifically challenging their right to buy it – and keeps the useful labour for himself. The two categories of useful and abstract labour confront each other without the potential for any further negation. Holloway separates the contradictory whole of dual labour and annihilates, or ignores, one part. This is not “negation” as the new emerging from the contradictory whole as the other of itself – not some third thing, but a new contradiction in which the original parts are present in a negated form. His negation is mechanistic and a kind of annihilation of contradiction. Holloway's rejection of Marx/Engels' materialist dialectic prevents theorising of creative propositions for overcoming the dual character of labour in the ending of commodity capitalism. Spinozan-Ilyenkovian dialectics can offer a way out of the logjam of 21st century philosophy by researching the dialectics of contemporary globalisation and its crisis. This involves a rejection of dogmatic Marxism on the one side and going beyond the limitations of post-structuralist critiques on the other. The task is to facilitate the development of social consciousness that enables a new generation to grasp capitalism as an unsustainable, time-bound, limited system rather than as an eternal, all-controlling entity. The requirement is to theorise how a new subject of history is negated out of the system itself. This will embrace the theorising of new political organisational forms that correspond to contemporary social being. Lenin’s concept of the party needs to be developed in the light of the networked nature of globalised capitalism, transnational state structures and the existence of mass use of social networks. In a period of great upheaval in the whole – nature, society and thought – the significance of a developed materialist dialectical outlook cannot be underestimated. It can guide us in theorising the new revolutionary subject beyond ideas of multitude and of “leaderless revolt”. There is a materiality about the re-emergence of interest in Spinoza at this particular moment in history together with the renewed study of Ilyenkov. Together they constitute the ground for a development in logic that acts as a liberating force in what is an historic, simultaneous global crisis in ecology, economy and politics. Building on Ilyenkov’s work on the Ideal, the challenge is to negate this into an all-sided theory of social transformation. Materialist dialectics enables us to theorise the striving of the new contained within present phenomena and to elaborate how this is negated. The advanced, socialised technology and networked organisation of capital that is the essence of present-day global capitalism will, when freed from its present social framework, be a thing for us and the basis for a developed socialist society. The materialist monist view offers a framework for ecological restoration. All animals continually create and recreate the eco-system in which they exist, but only humans can do so consciously. The concept of conservation is exclusively human and is a key aspect of nature performing through human beings. We cannot bring back the many hundreds of thousands of species driven to extinction as a result of unchecked exploitation, but we can become a positive factor in future evolution. Those who reject the law-governed nature of substance, only see capitalism's ability to continually recreate itself. But a system that demands continuous profit-driven growth within a finite nature is not sustainable. The growing impoverishment of soil and exhaustion of raw materials will force major transformations – not to mention the impact of climate change. There is no going back, however, as Spinoza says, a thing once determined for a purpose cannot be undetermined. The holist conception – developed first by General Jan Smuts founder of apartheid – has its modern expressions in the theories of deep ecology and Gaia. The thinkers behind these cite Spinoza, but have a one-sided interpretation of the concept of substance. But his materialist monism, as developed by Ilyenkov in the idea of nature acting through humans, offers a way forward. When it is said that the whole is greater than the sum of its parts, the analogy is often used of the conductor's impact on the orchestra – but of course this whole includes the musicians, the composer – who may be long dead, the audience and the whole human development of music. The spiral of development of knowledge means that there is infinite potential for further negations. The Spinozan concept of nature acting through humans can generate confidence in understanding the law-governed world in the course of changing it. Ilyenkov took to heart what Hegel and Lenin said about the incompleteness of Spinoza’s philosophy, in particular the lack of a “free, independent, conscious subject”. At the same time Spinoza offered a concept of freedom with his understanding of the human as a thinking being. If that is so, what is conatus, how do human beings realise their true nature, become – or rather – make themselves? Thus, in the subjective process of individuation, the “self-creation” of the human, there is also the objective side. The human is formed “under the aspect of eternity” in the sense that infinite externality – natural, social and human – is negated into each individual through nature and nurture and constantly changed through human practical activity. Contained in human nature, and as its precondition, there is biological nature. Ilyenkov’s felicitous passage in Dialectical Logic, in which activity including thought, forms and shapes the human as the conscious, performing part of nature, builds on Spinoza’s concepts. It also looks forward to the new understanding of the brain’s neuro-plasticity which allows our 100 billion brain cells to change and develop in response to our practice in the external world – an example of materialist dialectics if there ever was one. “The ensemble of social relations” makes it possible for the child to individuate itself in a process of humanisation. This development of the individual personality gives rise to a new whole with its own logic of development. It is NOT the “sum” of the parts, but a new human being – and – potentially, a “free, independent subject”. But how can this self-realisation take place under today’s conditions? How can de-alienation be undertaken? How to re-establish the relationship with the whole under conditions of total alienation both from natural and social being under the distorting conditions of present society? This was the issue that Spinoza sought to address for his times, Ilyenkov for his and we for ours. The ensemble of social relations is far more intense and more connected than ever before in history. Terms like “networked individual” and “transindividual” have entered the language as social being becomes ever more complex and more connected through mobile information technology, and social networking . Alongside the “loss” (or rather negation) of old identities, there is the possibility of a greater and deeper ensemble of relations than before. This has changed what we understand by the self, the world of social being and our relationship to it. Developing a perspective for a new subject must embrace the revolutionary potential in the negative side of nature, society and thought that has brought new generations on to the streets throughout the world. Ilyenkov, his friends and colleagues – in dialogue with Spinoza – can help us rejuvenate the reflexive materialist dialectic for this purpose. Engels later added: "It is to the highest credit of the philosophy of the time that it did not let itself be led astray by the restricted state of contemporary natural knowledge, and that – from Spinoza down to the great French materialists – it insisted on explaining the world from the world itself and left the justification in detail to the natural science of the future." (Dialectics of Nature). (Proposition 13): The object of the idea constituting the human mind is a body, or a certain mode of extension actually existing, and nothing else”. So Spinoza makes a clear separation between “inside” and “outside”, between the Being of mind and things, objects, bodies outside the mind. There is, to use Hegel’s words, “a content that stirs” in cognition.